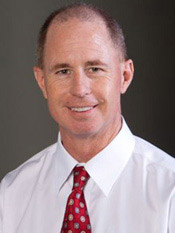 Widely recognized as one of the top shoulder surgeons in the world, Dr. Hawkins specializes in shoulder, elbow and knee reconstructive surgery and sports medicine. He is a professor of clinical orthopedic surgery at the University of South Carolina School of Medicine and founder of the Steadman-Hawkins Clinic of the Carolinas. Greg Sankey became the eighth Commissioner of the Southeastern Conference on June 1, 2015. He brings a big-picture approach that positions the SEC to leverage its success and popularity in athletics for a greater overall cultural and economic impact on the region, the nation and the world. We are pleased to welcome him to the SOA SEC Sports Injury Update & Case Based Discussion 2019. One of the highlights of the SOA SEC Program is a special presentation honoring the outstanding SEC Athletic Orthopaedic Team of the Year, chosen by the SEC Head Athletic Trainers. We are pleased to announce Dr. Joe P. Bramhall as the recipient of this distinguished award. In addition, Texas A & M University Athletic Training Staff will receive a check for $1000.00 to be used for student athletic trainer education, courtesy of DJO Global Orthopedics, who has sponsored this stipend since the awards inception in 2003. 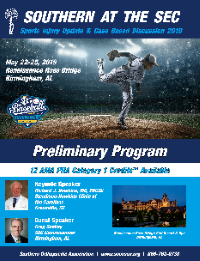 Call 1-800-468-3571 and mention you are attending the SOA Meeting to receive the discounted meeting rate. The Birmingham International Airport (BHM) is only 25 minutes from the Renaissance Ross Bridge. outside the baggage claim area.